Restored country house for sale in Basilicata. This countryside house (220 smq) comprises for three blocks: 1, 2, 3; each block has got a surface of 75 smq approximately; accessed from an external staircase the building has got an attic which, at the moment, is missing only the fixture and fittings. Included in the offer there is an old building, situated on the back and accessed from an independent road not located in front of the house and its garden, which has to be renovated and has got a surface of approximately 100 smq. Included in the offer a 18456 sqm. plot of land. 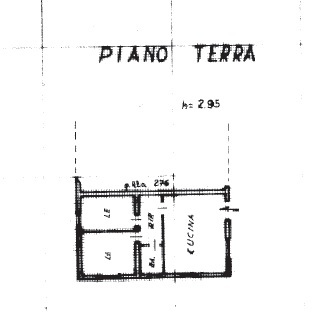 Total square metrage of the offer 420 mq (220 sqm main linked mini-apartments 75 sqm each, 100 sqm approximately attic apartment habitable and 100 sqm barn conversion project) making the property ideal for a B&B or a small hotel. Set in one of the most panoramic locations in the quiet hilly area of Nemoli, the house has splendid views of the mountains. The property is being sold by a private owner. The interior will be finished to your own specification.